Being a professional SEO technician, I had experienced almost all e-commerce software around. Personally I found five of them as the best options one must go for. 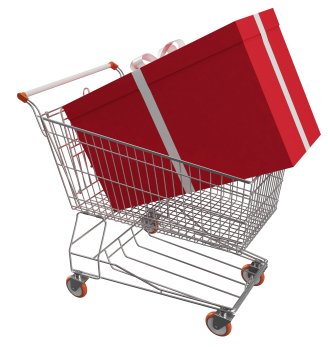 These five shopping carts are ZenCart, Shopify, BigCommerce, NopCommerce and Magento. Though they may prove to be better than one another, BigCommerce seems to be the one with the most benefits to offer. Let’s take a look at what each of these platforms has to offer and what are the problems that need to be fixed. The following comparison is based on different factors, such as how easy the checkout process and customization are, pricing, support and reporting, etc. It is completely integrated with third party sites such as Google Website Optimizer and Google Analytics. It is extremely easy to customize and has a great internal navigation. I won’t call it a bad option. It obviously ranks second best, so it has to have some amazing features when compared with others on the list. Some of these features include. Yet you may encounter some problems while using Shopify. First of all, the software was developed in a custom language called Liquid, and that is used to change title, tags and Meta tags. Plus, Shopify will demand 2% of the revenue you earn. So, I guess not a good option for low margin stores. ZenCart is the older one of all shopping carts. It is an open source application but its architecture and admin areas are a bit outdated. Although it is good for those who are new and in for some learning, it won’t allow you much freedom for serious earning. Negative points of this software include costly and difficult customization. You have to host it yourself and pay through third parties. Checkout requires too many pages to go through, which is quite hassling for users. Plus, SEO and designing are also tiring. I may recommend Shopify if not BigCommerce, but ZenCart is definitely not one of my favorites anymore. There are other names in shopping cart platforms as well. Magento and NopCommerce are good software as well, but obviously great improvements are required for both. This improvement must especially be in the area of support and hosting. There are several other names I personally tried and tested. These names include Volusion, goEmerchant, Fortune3, CoreCommerce, Yahoo! Merchant, ProStores, Godaddy Quick Shopping Cart, goEcart, genXpros, etc. However, I stick to my belief, and that is that BigCommerce is the best around. Great article, very well explained. Thanks a lot! I would like to thank you for the efforts you have put in writing this site. I am hoping the same high-grade web site post from you in the upcoming as well. Actually your creative writing abilities has encouraged me to get my own site now. Actually the blogging is spreading its wings rapidly. Your write up is a great example of it.